Beach day with my family! 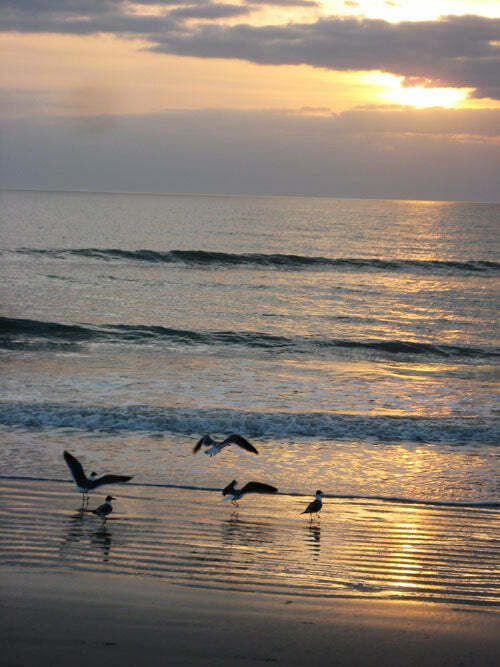 My Mom got a motel room for the night so we could enjoy playing on the beach in the afternoon, a late night walk in the dark, and the sunrise in the morning. The best beach moments! In the afternoon my sister Ivy and I made an awesome sand castle! 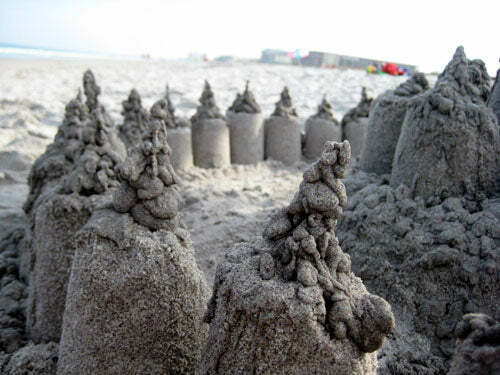 First, it's the traditional sand castle using pails and such, with a nice mote around it. 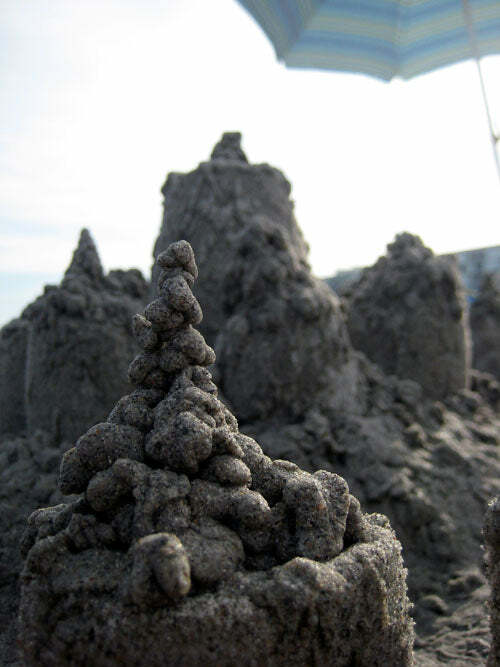 Then we drip wet sand all over it and build little towers with the drips. I get really really into this... it's hard to stop! Here is a photo from the beautiful sunrise in the morning. My favorite part of the trip.